11 Weeks Shetland Sheepdog In Classic Herding Tri Tan Color Perfect Features, Exclusive Color, Excellent Structure and Adorable BFF Character!!! Loving Nature and Bubbly Temperament!!! Call 81352277 for details and appointments now! All puppies are vaccinated, dewormed and microchipped. Please contact for more details and viewing! 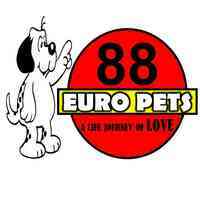 Go to our FACEBOOK page at: 88 Euro Pets Buy with confidence and a peace of mind from 88 Euro Pets, we are a licensed Pet Shop with a holistic, clean and quality environment with assurance.